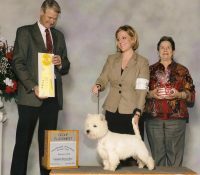 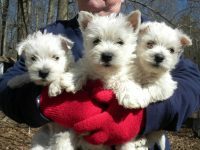 The Westie is energetic enough to keep up with multiple children. 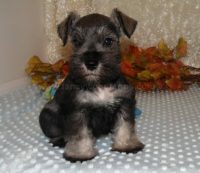 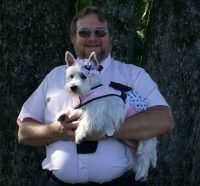 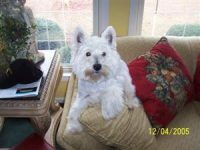 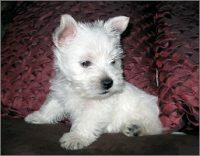 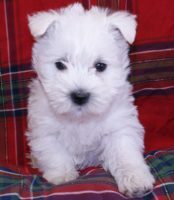 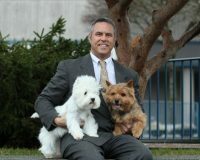 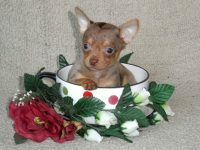 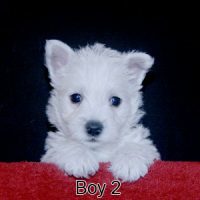 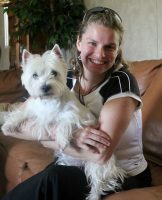 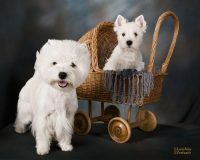 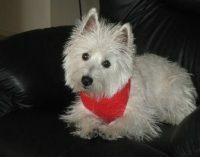 The Westie is a friendly, non-aggressive dog, getting along well with people, and most other animals. 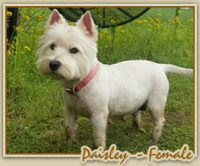 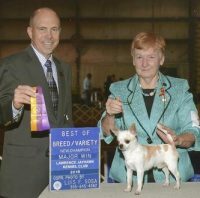 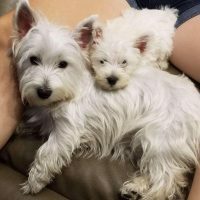 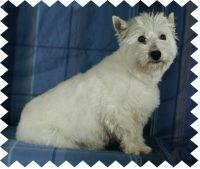 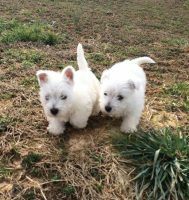 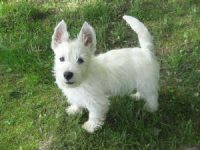 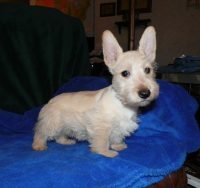 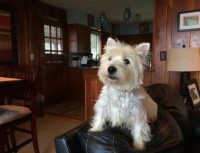 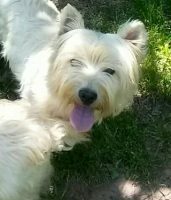 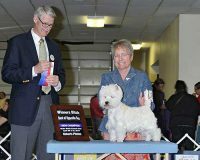 The Westie is an extremely hardy dog, which can romp with the best of them, and do well as either an inside dog or an outside dog (given the proper facilities). 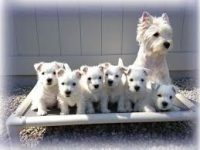 Westies don’t have a shedding problem, so Mom doesn’t spend all of her time vacuuming up pet hair. 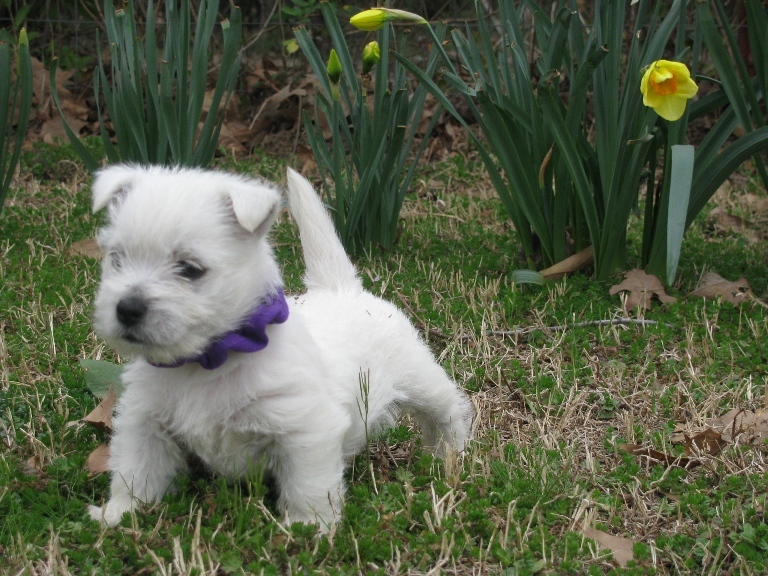 Westies are the perfect size — small enough for your lap, big enough for the yard.